Dr. Jahar Sen Majumder, M.A., Ph.D., Associate Professor. Dr. Sankar Prasad Majhi, M.A., M. Phil., Ph.D., Assistant Professor. 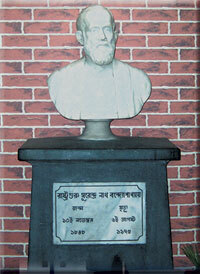 Prof. Satyajit Biswas, M.A., M. Phil., Assistant Professor. Dr. Alamgir Molla, M.A., Ph.D., Guest Lecturer. Prof. Md. Rafique, M. A., Guest Lecturer.